Enjoying the Pirates of Drinax mega-campaign? Want to explore the Trojan Reach even deeper? The Travellers are hired by an eminent anthropologist to prove that local legends of ‘sea gods’ are true. This requires a descent into the depths of the world’s oceans as well as an investigation of what seems to be a mysterious ancient temple. Along the way, the Travellers much contend with hostile islanders and harsh weather before deciding whether their conclusions should be released at all. 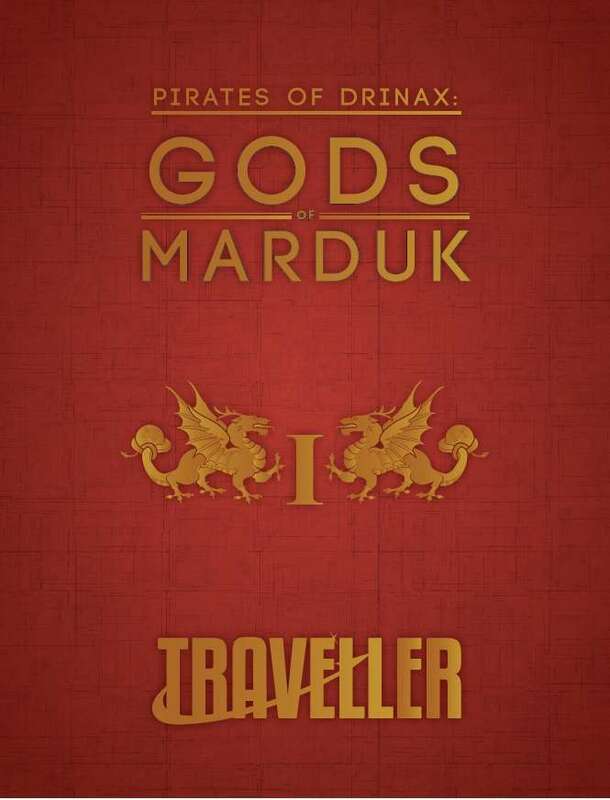 Gods of Marduk expands one of the Patron encounters in the Pirates of Drinax campaign into a full adventure, though it can be used in any Traveller campaign. Keep your eye out for more additions to the Pirates of Drinax, including Theev and the Torol Cluster, already available!